As 2014 comes to a close, I’d like to thank the special people who have either supported me in some way, or taught me new skills or life lessons. 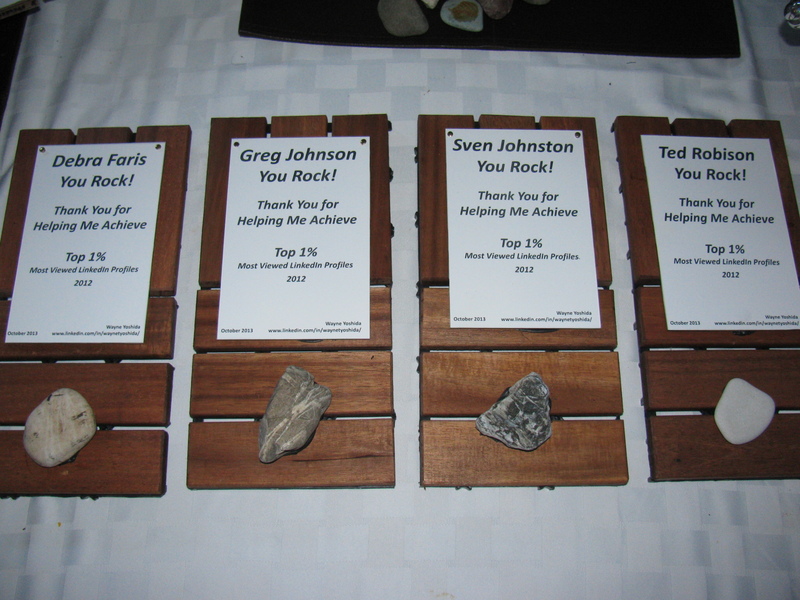 These are folks that really rock, and deserve some recognition. I report to Yosh Coy at Agility Fuel Systems. I always learn something new from him each time we have a conversation. 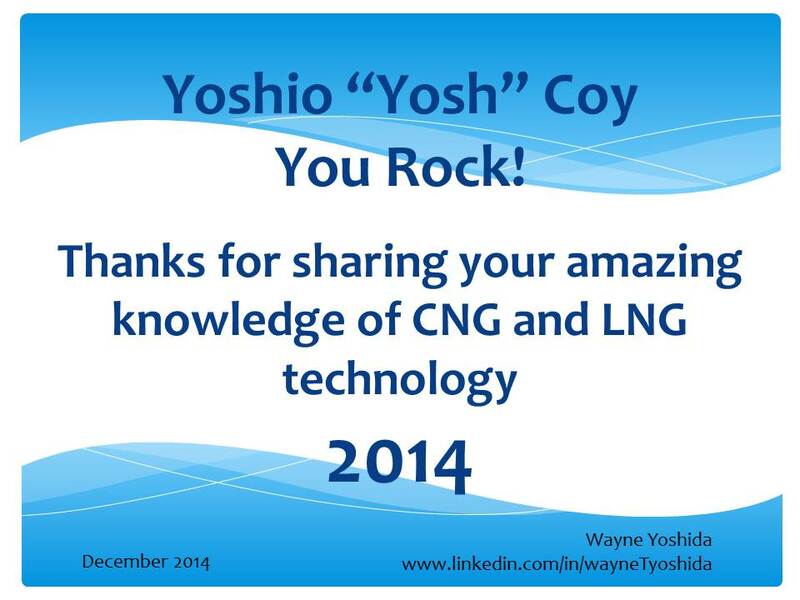 Yosh has an incredible depth of knowledge on LNG and CNG technology. Yosh rocks! Dave Crowley is a technical instructor at the Natural Gas Vehicle Institute (NGVi). 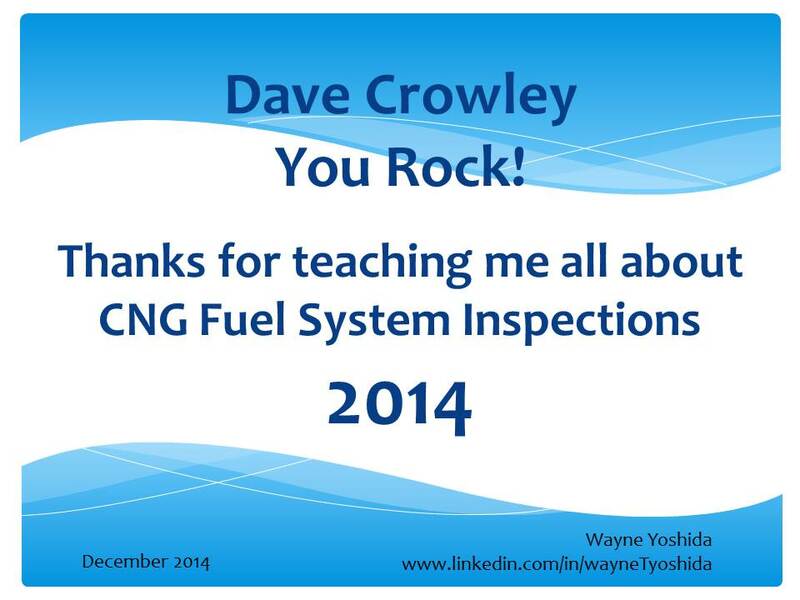 His session on CNG inspections were informative and included plenty of hands-on demonstrations during the class. 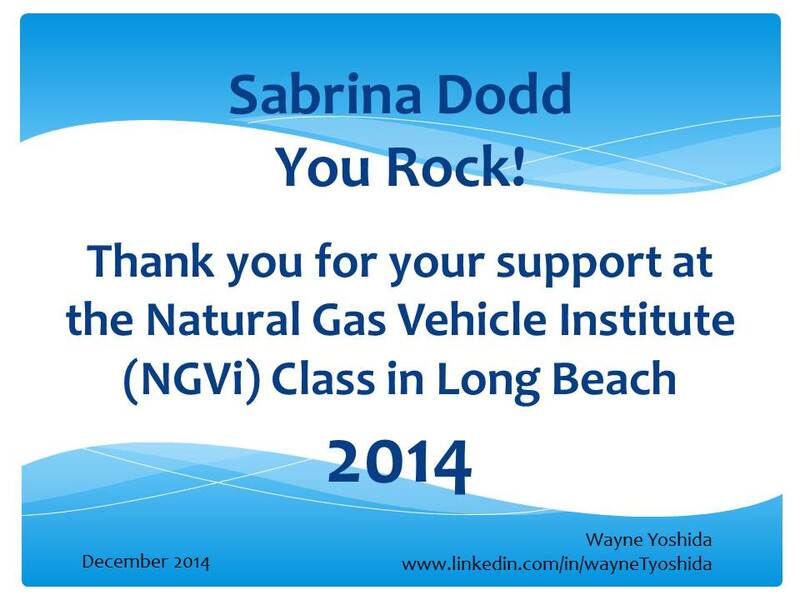 Sabrina Dodd and Jamie Johnson, both from the NGVi, deserve special recognition for their support and customer care before, during and after the NGVi classes in Long Beach, CA. 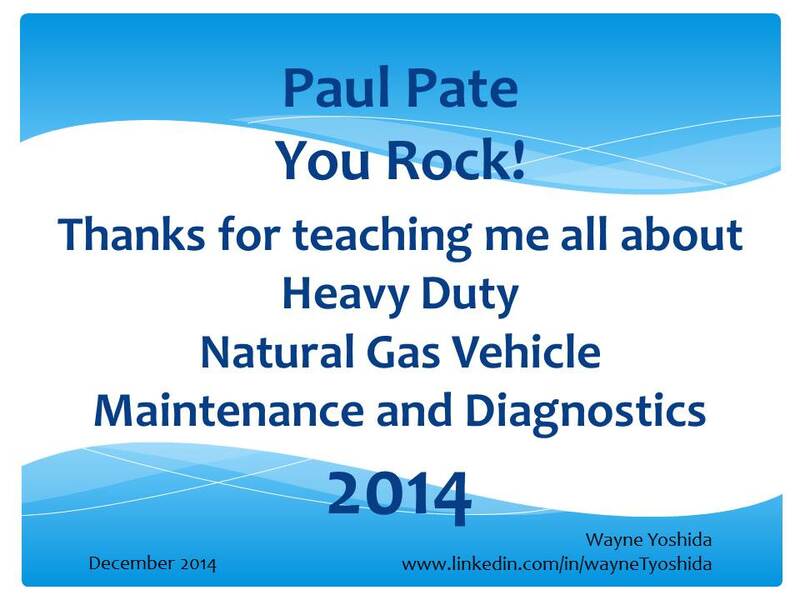 Paul Pate (then training manager at NGVi), lead an excellent class on natural gas vehicle technology – from the fuel storage cylinders to the exhaust tailpipe, his session was interesting and informative. Here is an update on Paul: Paul now has two careers, first joining a family business called CNG Elite Inspection Services, an inspection and compliance company for CNG vehicles and is also the Technical Training Director at Automotive Research and Design (AR&D) and Panoptic Training. A special award goes to Colleen Jones, then a counselor at the Orange County, CA One Stop Center. 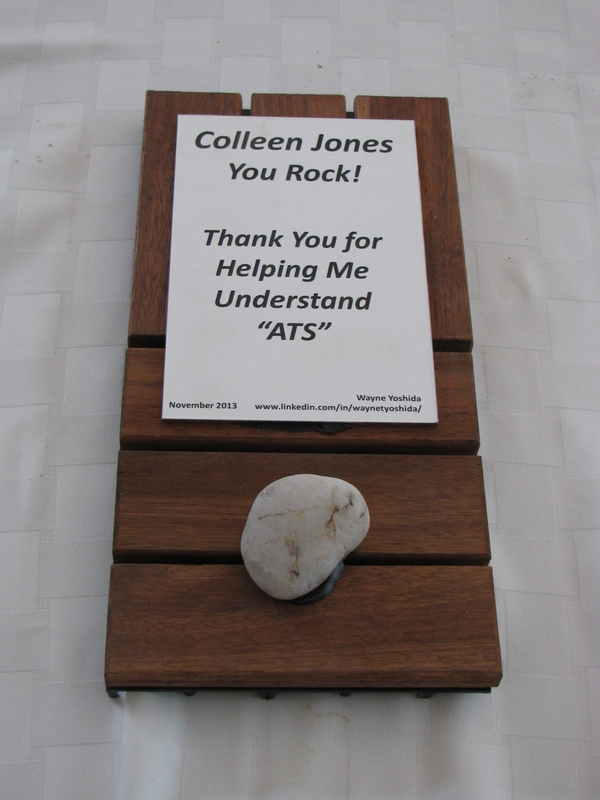 Colleen presented her views and explained how the applicant tracking systems (ATS) in widespread use work. Learning about these systems proved to be a huge asset in my job search toolbox. Colleen is now the Human Resource & Talent Acquisition Leader at Go Rentals, Inc. Click here to see the original special award post. Greg Johnson is a career coach, his company is called Above the Rim Executive Coaching. Sven Johnston is Partner Sr VP Business Development at GigaSavvy, an advertising agency with a core focus on search engine optimization (SEO). These four talented experts taught me how to optimize my LinkedIn profile for maximum effectiveness. It must have worked, since LinkedIn said I am among the Top One Percent most viewed profiles in 2012. Take a look at my other LinkedIn Publish posts for more information on careers, technology and other things. Thanks – and do look at both forums – the guys posting and sharing really help!